Fluorite is excellent in helping one to understand the intrinsic balance necessary for good relationships. Purple green high grade Chinese Fluorite is probably the finest example of color and beauty exhibited by this quartz gem stone. 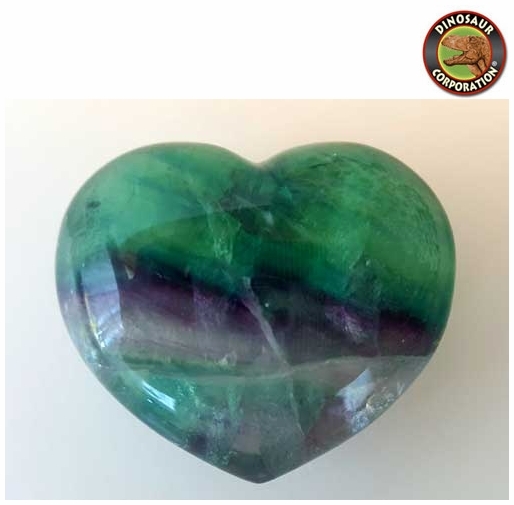 * Beautifully polished large 45 mm or 1 3/4"" puffy heart shaped gem stone.